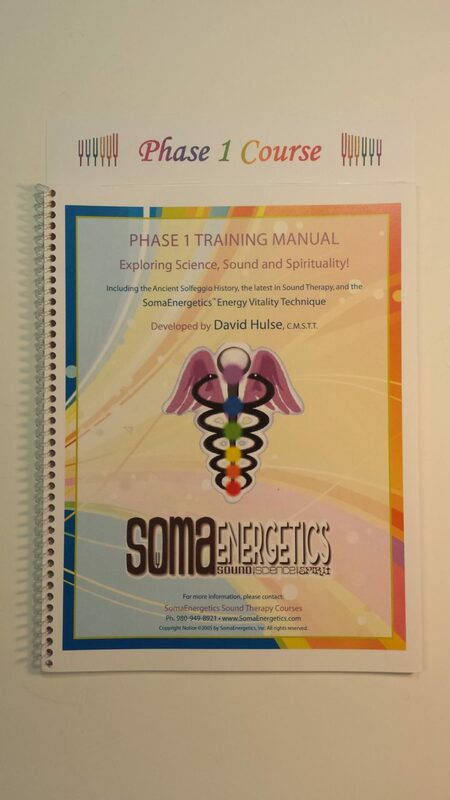 The Phase 1 Professional class teaches the Energy Vitality Technique using the Solfeggio Energy tuners and is the basis for all the other techniques taught in subsequent courses. 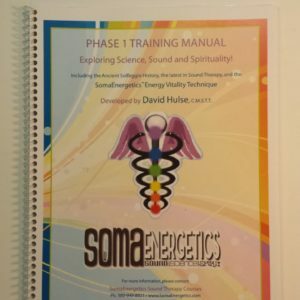 In this class we learn to learn the Energy Vitality Technique to free blocked energy and activate the energy the client is not using, we then connect them to 5th dimensional energy, and safely distribute that energy throughout the energy centers (chakras) of the body. Activating unused energy and reminding them of their connection to the universal source is one of the greatest gifts you can give someone. When we have extra energy beyond survival, then we can manifest, heal, attract wonderful co-creative partnerships and friendships. That is the genius of the Energy Vitality Technique – giving the gift of the ability to manifest your heart’s desire! 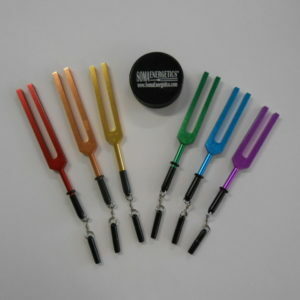 The exclusive colored SomaEnergetic Solfeggio Energy Tuners. 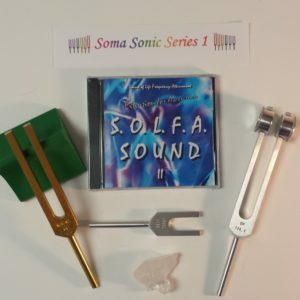 Reconnect with your energy potential using the ancient Solfeggio frequencies to balance and impart harmony in your life. Sound is a way to free blocked energy, thereby creating openings in which novel choices are awakened and new-found energy becomes available for personal transformation, health and healing. Learn to balance the Chakras using Hands-on Experience with the Energy Vitality Technique. 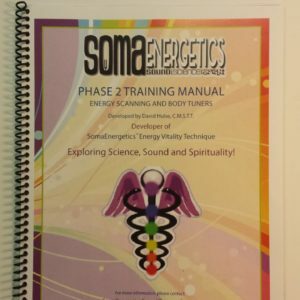 These techniques are the basis of the Energy Balancing Techniques developed by SomaEnergetics. 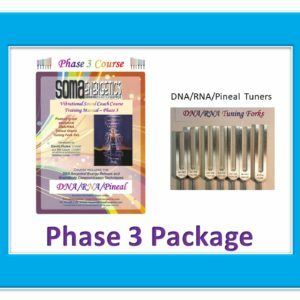 Massage, Reiki and Polarity Therapists, Holistic Physicians, Energy Workers and individuals around the country are getting amazing results using these powerful tuning forks with the SomaEnergetics Vibrational Sound Techniques. 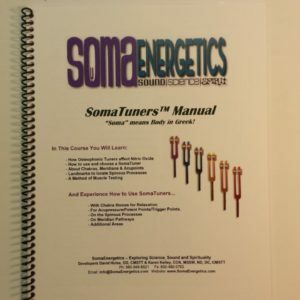 These protocols can be used in complement with nearly all energy and bodywork modalities. After purchasing this class you will receive an email coupon to SAVE $40 on Optional Course Materials listed below.